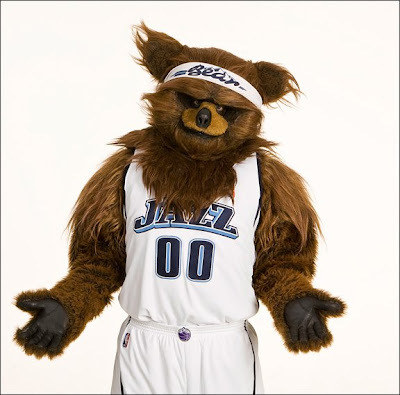 Mascots are an important part of the NBA, serving as furry mirth-makers in a league that often becomes too self-serious for its own good. There's no joy a mascot can't bring, whether it involves choreographed dancing or simply forcing fans to consider the ridiculousness of an anthropomorphic blue blob's existence. However, the fact of the matter is that most mascots are very similar, both in their antics and looks. 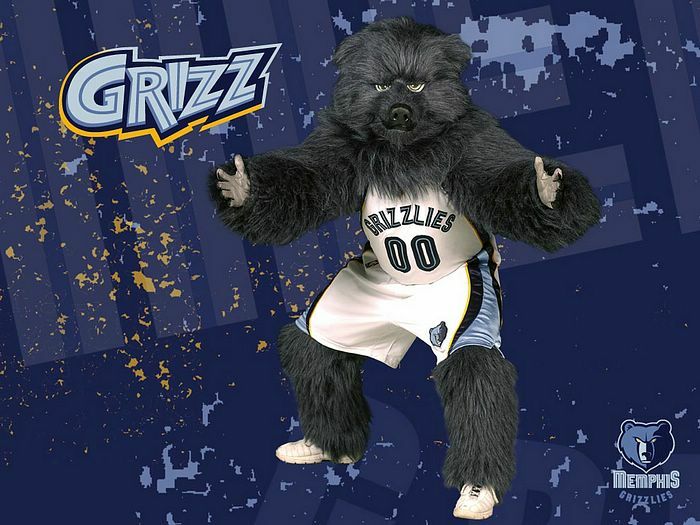 It's pretty much impossible to differentiate between the bear mascots of the Utah Jazz and Memphis Grizzlies, for instance, and that's even before you see them jumping off trampolines and high-fiving children. Benny the Bull, who’s been entertaining fans at Chicago Bulls games for more than four decades, keeps a killer schedule that goes way beyond the Bulls’ 41 home games a season (or more like 50 including the preseason and playoffs). Benny does 250 events a year, from appearances at Chicago businesses and charities to private parties. Benny led the pack in pure likability and gets more photo requests than any other mascot in sports. His ascension to the top is something of an upset, moving against this year’s anti-NBA trend. Perhaps the trampoline-bouncing, slam-dunking hoops mascots are starting to become old hat: past favorites like the Phoenix Suns’ Gorilla, the Denver Nuggets’ mountain lion Rocky and the San Antonio Spurs’ Coyote are nowhere to be found this year. Instead, it’s been an up year for the warm and fuzzy, kid-centered baseball mascots. For now, let's put aside the fact that Van Riper introduces his story by describing mascots as entities that exist purely to lure children (or "lil' consumers," as I like to call them) back to the arena in the future. We can also avoid discussing Benny's impact on the world stage, where challengers like Arsenal's Gunnersaurus await. Instead, let's just give credit to Benny for being really, really great at what he does. In truth, he isn't that different from other mascots, but Benny attacks life with a mixture of verve and playfulness we need more of in this world. He expresses the NBA as what it should be — a fun thing that doesn't really make logical sense. Heck, it's arguable that he's the watchable member of this particular Bulls team. 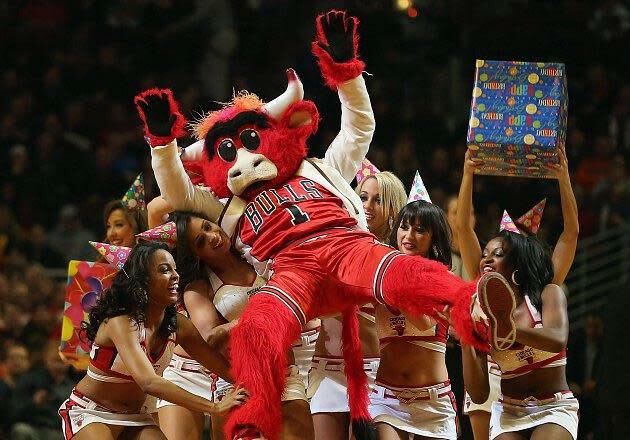 With the Bulls in Miami tonight for what could be their last game of the season, it's possible that we won't see Benny in a basketball context for nearly six months. If that's the case, let's raise our glasses and toast to the friendly creature who adds a small bit of joy to our lives. He may have been created to hook children on a product for life, but he has become so much more.